I've been thinking about this for a while; when it comes to pistols we have many options for feeding methods. From the gravity-fed tubes of stock class, to spring feeds to the ever more popular traditional magazines. But which one of these is the best? Which is the most practical? The most efficient? What system allows the most flexibility, the most capacity? I'm a pistol player at heart and my TPX is my workhorse, but I want to do a deep dive on the feeding technologies out there and determine what the best would be, even if it's not technically feasible. What is the dream? What could make pistol play better? 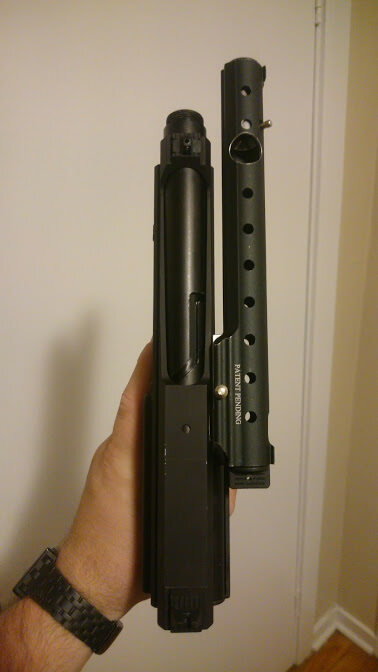 I really like the spring feed tubes with Smith's front port mod, like I really like it. But is it the best? In my opinion this system works great for many reasons on a pistol that you would use as your primary marker, but I think it has many downsides especially on a marker that you want to keep holstered until that moment when it's needed. A lot of this has come up because I am working on a small, personal project to create a backup pistol for my TPX, a true sidearm an I don't think a top spring-tube is the right answer. Not when you want something small and light enough that it won't be bouncing around on your leg or hip when sprinting around the field. What do you think about this: A small format, roundball pistol magazine that is only slightly wider than a standard 10 round tube, perfectly round and can be slapped into the grip in any orientation. As in, you could spin it 420 degrees while its still locked into the grip of the marker. Is that something that is desirable? Does it make sense? Anyway, maybe I'm thinking about this too much, but I can't get these musings out of my head. I'd love if this started some for of discussion, put an end to this echo chamber. I think you kind of hit it on the head: a springfeed based system would be best for primaries due to the ability to make it easy to reload, while magazine based would be best for being on the holster due to ease and being compact. Not really sure how you could really swing it another way, tbh. The agd sidearm is a top tube that is "compact" (for a 68 Cal) and very clever. After a lots of trial and error I found I really like my tipx as a sidearm. 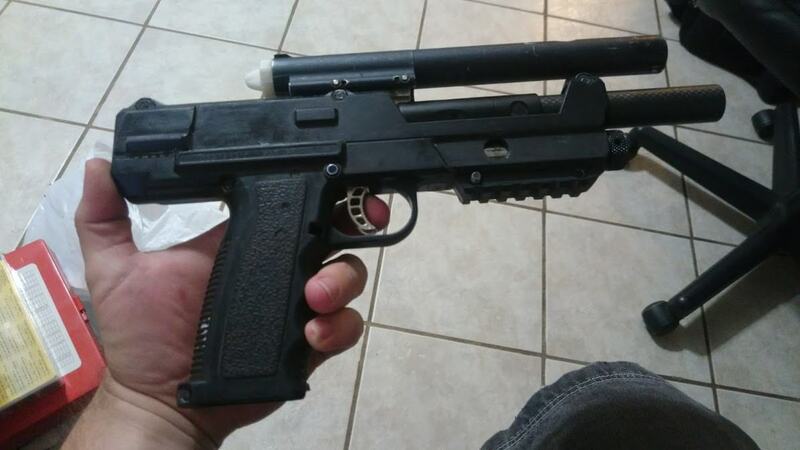 There is a few semi pistol that take 10 round tube as "mag". The brass eagle actually use proprietary spring loaded tube. Last edited by XEMON; 07-13-2018 at 01:40 AM.